OTG ke Bare Me Toh Jante Hi Honge, Kyu ki OTG Features Din Ke Din Famous Hote Hi Jaa Rahe hai. Abhi Har Koy OTG Cable Apne Android mobile me connect Karna Chahta Hai. But So Many Mobile companies Ne OTG features provide Karte Hai. Kya apke android mobile me otg cable support nhi karta.? Kya aap chahte hai apke android mobile me otg cable use (connect) ho.? Agar apke jawab (answer) yes hai toh aap sahi jagah par hain. Jaise ki aap jante hi honge OTG supported mobile se ham kya kya use kar sakte hai. Agar aap nahi bhi Jante hai OTG ke bare me toh tension lene ki koy baat nhi hai, Kyu ki iss post par aap janenge OTG Kya Hai, OTG Support Smartphones Se Ham Kya Kya Kar Sakte Hai. How To Enable OTG Cable On Any Android Mobile Without Root. & With Rooted Android Smartphones. Question– Kya Sabhi Smartphones Me USB OTG Support Karta Hai.? So many mobile me pahle se hi OTG Support by default enabled hota hai. But some smartphones me manually OTG support enabled karna padhta hai. OTG Cable ka 2 main features hai, First (1) Ek mobile se dusre mobile me charge kar sakte hai. 2nd (2) Pendrive/Card Reader, Aaj ham details se janenge Kisi Bhi Mobile Me OTG Cable Kaise (Connect) Use Karte Hai Without Root. Toh pahle ham jante hai OTG Cable Se Kya Kya Kar Sakte. Dosto Niche Ki Ye Top 10 USB OTG Cable Se Connect Karke Asani Ke Sath Android Mobile Se Istemaal Kar Sakte Hai. Pen drive/ Card Reader Ko Connect Karke Use Kar Sakte Hai. Computer/Keyboard And Mouse So Connect Karke Use Kar Sakte Hai. 3G/4G Dongle/Modern Connect Karke Internet Chala Sakte Hai. Mobile Charge Kar Sakte Hai. Game Controller Se Connect Karke Mobile Me Use Kar Sakte Hai. USB Light Use Kar Sakte hai. DSLR Camera Bhi Use Kar Sakte Hai. Mobile External Drive Use Kar Sakte Hai. Directly Mobile Se Print Out Kar Sakte Hai. USB OTG Cable Se Biometric Fingerprint Scanner, Connect Karke Use Kar Sakte Hai. Aur Bhi Kafi Kuch Kar Sakte Hai Mobile Me USB OTG Cable Connect Karke. Nahi (No) OTG Support 2001 me first used kya gaye kuch companies ne ye features android smartphones me diya hai. Some smartphones OTG support hardware ke sath ata hai, Our kuch mobile me nhi. Yaha List Of OTG Supported Device par jake apka mobile device finds kar sakte hai. Lekin subidha ke liye agar koy OTG apne mobile me active karna chahte hai, toh manually OTG support enable kar sakte hai. Facebook Post Par Like Comments and Friends (Request) Kaise Badhaye – (Without Any Software). Niche diye gaye step ko follow karke aap asani se pata (Check) kar sakte hai ke apke smartphone OTG Support hai ya nhi. Sabse Pahle Aap Play Store Se USB OTG Checker App Install Kare. Install Ho Gaya Hai Toh USB OTG Checker App Open Kare. 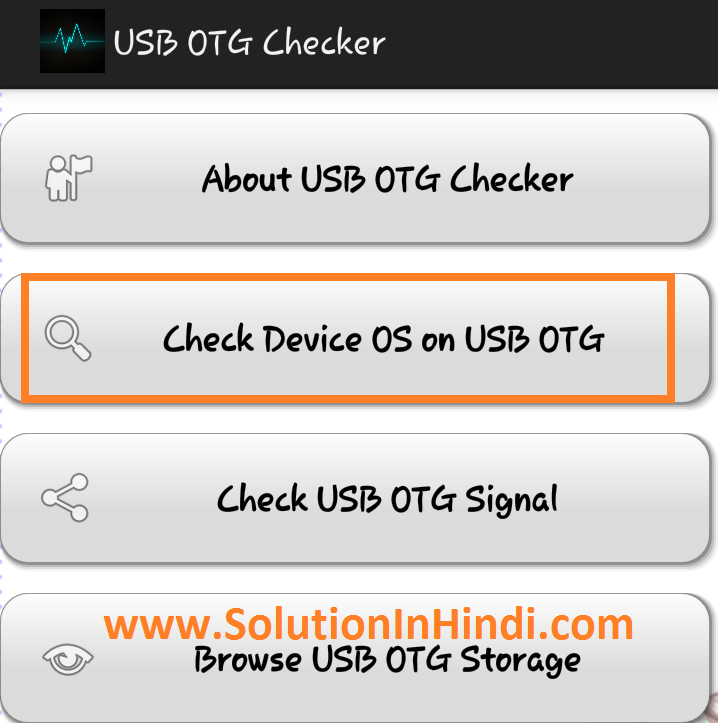 Check USB OTG Support Option Me Click Kare. Check Button Par Ok Kare. Agar Apko Checking Notification Me “Smartphone Doesn’t Support OTG” Ata Hai Toh Ghabrane Ki Koy Baat Nhi Hai, Kyu Ki Bhut Sare Smartphones User Samajh Lete hai, Uske Mobile Me OTG Support Nhi Hai, Our Without Root Woh OTG Use Nhi Kar Sakte. Lekin Haam EX File Explorer Se Non-Rooted Mobile Me OTG Use Kar Sakte Hai. Ex File Explorer Ke Bare Me Adhik Janne Ke Liye Ye Post Padhe: – Mobile Me Recycle Bin Features Kaise Add Kare. Agar apke mobile me OTG cable support nhi karta hai toh aap niche diye gaye step by step follow karke asani se apke android me OTG Connect kar sakte hai Bina root android mobile me. 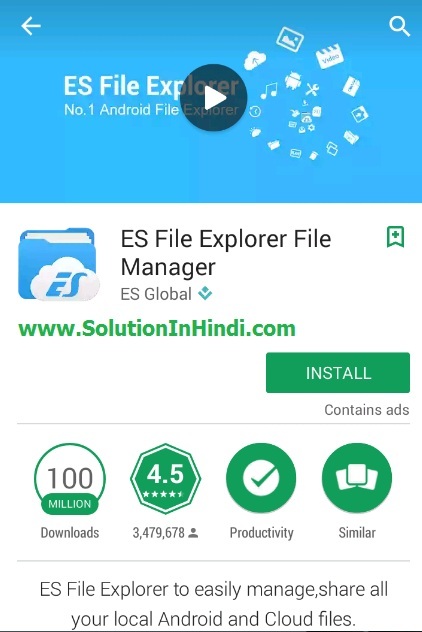 Sabse Pahle Aap Play Store Se EX File Explorer App Install Kare. Ab Aap USB OTG Cable Ko Android Mobile Ke Sath Connect Kare Jo Aap Connect Karna Chahte Hai. OTG Cable Ko Charging Point Se Insert Kare. Ab Ex File Explorer Open Kare. Open Karte Hi Apko Notification Karega-” Enable USB OTG Support ” Ok Kare. Ab Apke USB Storage Folder Show Karega. Folder Ko Open Karte Hi Folder Ke Under Files/Folder Show karega. Done! Successfully Enabled OTG Support In Android Mobile. Ye Method Apke Mobile Hardware Par Depends Karta Hai, Agar Work Nhi Kare Toh 2nd Method Apnaye. Dosto Ye Method Bhut Hi Simple Hai, Agar Apke Mobile Rooted Hai Toh, Main Pahle Hi Post Kar Chuka Hu, Mobile Root Kya Hai Or Kaise Kare (Full Guide). Agar Aap Root Nhi Kiye Hai Toh Pahle Root Karle, Ye PC Method Hai, Agar Apke Pass Pc Nhi Hai Toh AapYe Post Ke Madad Se Kisi Bhi Android Mobile Ko Root Kare Without PC. One Click Me Root Kar sakte hai, Mobile Android Version Update Kaise Kare. Ye Bhi Padhe Root Karne Ke Baad Kiya Karna Chahiye. Search Kare USB OTG Helper. Ab USB OTG Helper App Ko Install Kare. OTG Cable Ko Mobile Ke Sath Connect Kare. Now USB OTG Helper App Open Kare. 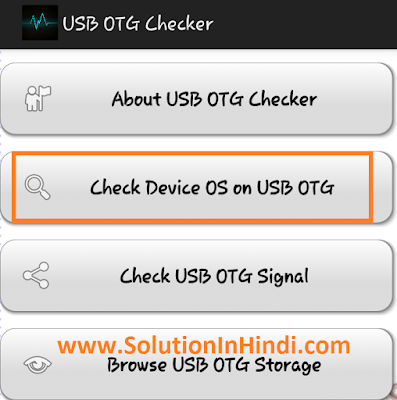 USB OTG Helper App Se Notification Karega, By Default Me Tick Lagake Ok Kare. Done! Apke Mobile Me USB OTG Cable Enable Ho Gaya Hai.  Enjoy Your USB OTG Supported Smartphone. So Ab Aap Kisi Bhi Mobile Me USB OTG Cable Kaise Connect (Use) Kare Details Se Jan Gaye. I Hope Ye Post Apke Liye Helpful Rahega, Helpful Laga Toh Apne Friends Ke Sath Social Media Par Share Kare. Our www.solutioninhindi.com ke sath update Rahne ke liye Subscribe Kare. Z1 me OTG Support Nhi karega..! Rohit Jee Aap Rooted Mobile Se OTG Connect Kar Rahe Hai Na Without Root Se.? Thank You Bhai Jaan & Visit Again..
Nitish Bhai Kya Aap ke USB Cable Thik Hai.? 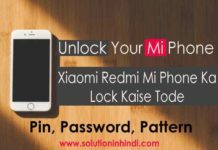 Agar Hai Toh Apke Mobile USB Connector Point Ka Problems Hai Ya Phir Computer Point Ka Problem Ho Sakte Hai. So Aap Dono Connecting Point Ko Thik Se Check Karlo… Ya Phir Kisi Friends Ke Mobile Ko Connect Karke Dekho.. Apke Mobile USB Connector Ki Problem Ho Sakta Hai. Bro With Root Wala Method SE Apke Mobile Me OTG Support Ho Jayega..
Bhai Aap Rooted (With Root) Method SE OTG Support Kar Sakte Hai..
Uper Diye Gaye Steps Ko Sahi SE Follow Karke Aasani SE Kar Sakte Hai..
Agar kahi Kisi steps me samjh me Na Aaye Toh jarur comment kare..
OTG cable Connect Karke dekho Agar nhi Hya Toh aap iss post Ko thik SE read Karke asani SE Kar Sakte Hai . Aap OTG cable se connect Karke dekho nhi Hua Toh mobile root Karke iss post to carefully read karo..
Agar Apko root karna nhi aata Toh aap root category me Jake mobile root Kar Sakte Hai. Agar kahi Kisi Step Me samajh me nhi Aaye Toh comments Karke Jarur bataye..
Haa Kyu Nhi bina PC Ke mobile ko root Kar Sakte Hai.. Without PC Se Mobile Root Kaise Kare Pehle Se Post Kiya Hua Hai Dekh Lijiye..
Agar kahi Kisi Step Me problem Ho to Jarur Yaad Kare..
USB OTG Helper Premium Version Download Karke Check Kar Sakte Hai..
Phir Bhi Aagar OTG Support Nhi Hua Toh Apke Mobile Hardware Problem Ho Sakta Hai.. Mobile Hardware Problem Hoga To Root Karne Ke Baad Bhi Kisi Kisi Mobile Me OTG Support Nhi Hota Hai.. 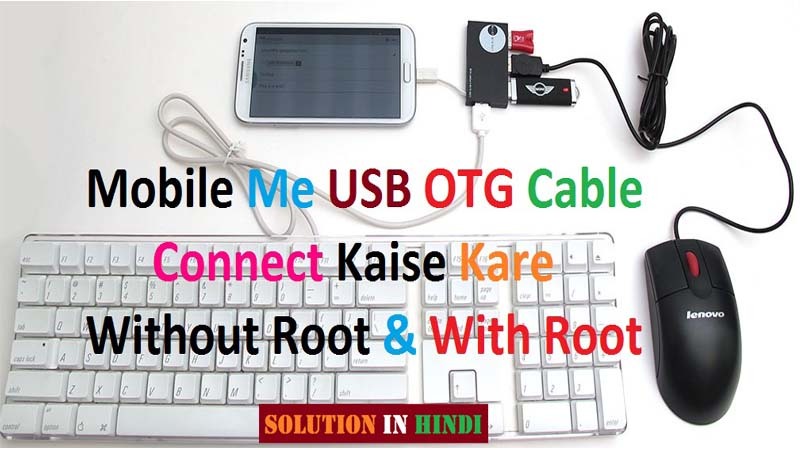 Mobile Ko Root Karke Try Kare..
Ap Bhi Pehle Mobile Ko Root Karo Phir Root Mobile Me USB OTG Cable Connect Karne Ki Solution Diye Gaye Hai Follow Karke Kar Sakte Hai..
Haa Karega Check Kar Lijiye..
Nhi Nhi Cable kyu cut karoge, OTG Cable Me hi Aap Connect Kar Sakte Hai. Agar apke mobile me OTG Support Karta Hai toh..
Bataye Gaye Method With & Without Root Mobile Me OTG Connect Kar Sakte Hai..
Aap Diye Gaye 2no Method Try Kare, OTG Support Ho Jayega..